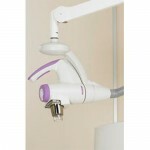 Pinpoint accuracy makes the Xstrahl 100 the perfect choice for superficial treatments. 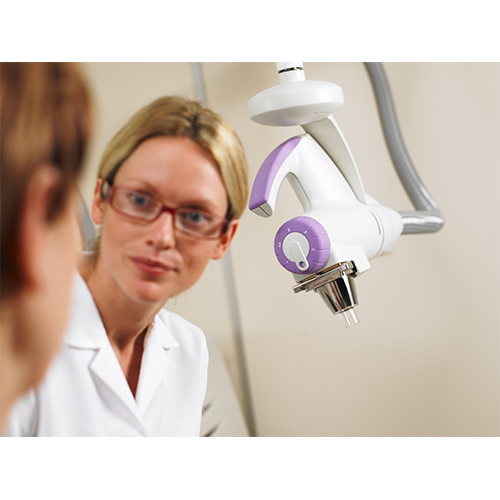 The Xstrahl 100 is ideal for treating a wide range of superficial skin cancers, such as basal cell or squamous cell carcinomas, as well as benign dermatological conditions such as keloid scars. •	The range of movement in the Xstrahl 100 treatment arm enables smooth adjustment and easy fixed set up for each treatment field. •	Its flexibility makes it particularly suited for treating lesions that are difficult to access, such as the head and neck, without compromising on patient comfort. •	The unit’s small footprint enables installation in a compact space, and its mobility allows for better use of space within the treatment room. 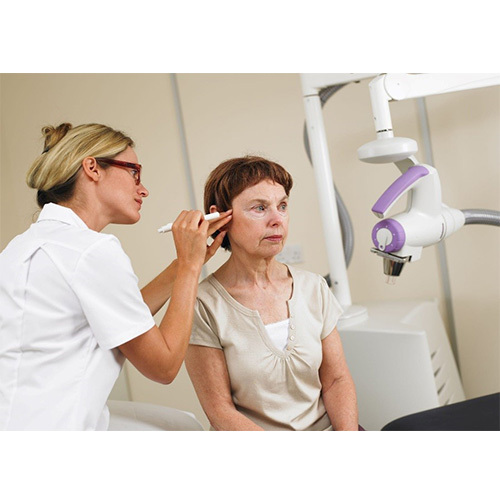 •	A low energy range and short exposure times means the treatment room requires far less shielding compared to a comparative high energy linear accelerator.